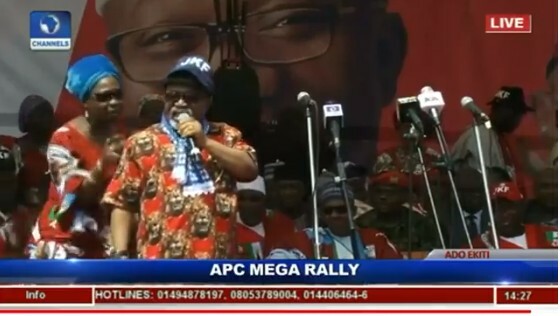 Former governor of Anambra state, Chris Ngige is currently trending for telling the people of Ekiti state to bring back Fayose on Saturday during his speech at the APC rally in the state today. President Buhari and other top chieftains of the party who were seated at the venue were shocked at the statement. 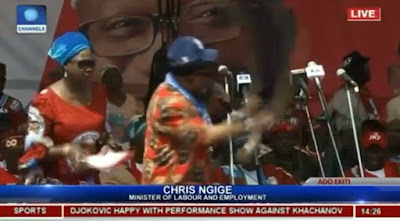 party chieftain and Minister, Abike Dabiri has to intervene to help him correct himself. PoliticsNGR has obtained the footage.